The Corvette Zora ZR1 is one of the rumored names for Chevrolet’s upcoming mid-engined sports car. Set to be unveiled in 2019, it will be part of the eighth-generation Corvette, also known as the C8. For the time being it’s not yet certrain whether Chevy will keep making a front-engined Vette, but the midship sports car has already been spotted on public roads as a prototype. Whether Chevrolet will keep offering a front-engined Corvette or not, the company’s goals with the C8-generation car are more than obvious. Chevy is not only aiming to offer a competitor for the Ford GT, but also wants to enter the entry-level supercar market dominated by the Porsche 911 Turbo, Ferrari 488 GTB, Lamborghini Huracan, and the McLaren 720S. Keep reading to find out what we already know about the upcoming Corvette Zora. Continue reading to learn more about the Chevrolet Corvette Zora. Since Zora Arkus Duntov joined the Corvette team and crammed a V-8 into America’s sports car in 1955, the Belgian-born engineer chased ever more interesting and dynamic ways of making the little two-door go faster than anything else on the road. Zora was obsessed with speed and performance. Aside from setting a production car record up Pikes Peak in a Corvette, taking a standing-mile record at Daytona and starting the Grand Sport racing program, Zora consistently worked on mid-engined prototypes of Corvettes during his career. Despite having a mid-engined prototype of some form for almost every generation of the Corvette, there has never been a production car wearing the legendary Crossed Flags and carrying the engine behind the driver. That all looks to change soon with the rumored Corvette Zora ZR1. This new car is rumored to use the Zora name to make it a separate model from the current Corvette family, and when it debuts, it will be unveiled as an eighth-generation (C8) car. 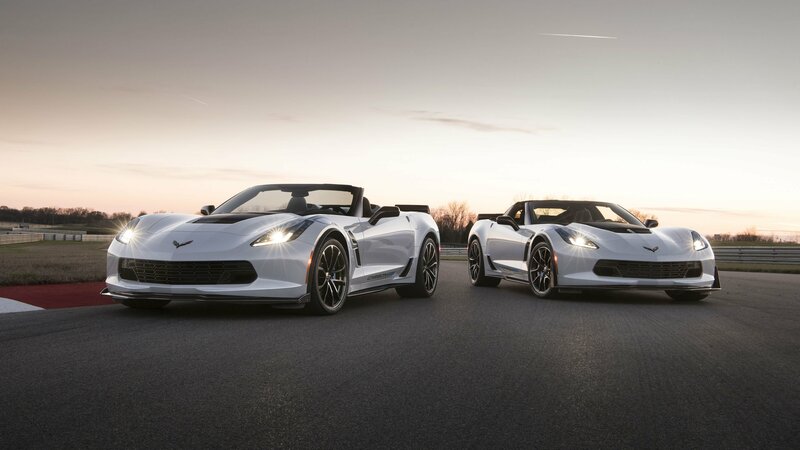 To create this new and exciting performance machine, Corvette engineers are expected to modify the current C7’s aluminum chassis for mid-ship duty, and then they should fit the car with an uprated version of the supercharged V-8 found in the new Corvette Z06. The new Zora is expected to carry a price of more than $150k, horsepower ratings in excess of 700 ponies and a top speed well above 200 mph. General Motors is no longer building a bargain performance monster. The new Zora will be a purebred supercar; full stop. Ferrari and Lamborghini, you have been put on notice. Back in May, we brought you news about Chevy’s Corvette factory and its 18-month shutdown of public tours beginning in June. At the time, Corvette expert and trusted source, Mike Furman, sent out an e-mail saying giving us a number of possibilities as to why the tours were being shut down. The distinct possibilities included the retooling of the factory to produce the mid-engined Corvette ZR1 “Zora” and the possibility that GM is switching from pushrod engines to DOHC engines. I personally speculated that it could be both – GM is trying to hide as much as it can about the ZR1, with tours obviously a serious threat to the way information is leaked these days and the switch to DOHC being a huge undertaking. 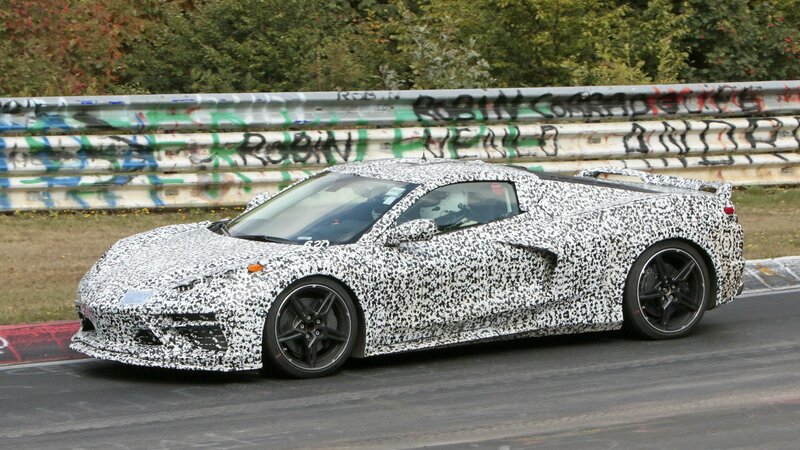 Keep in mind that the ZR1 will also be based on the C7 instead of the upcoming C8, so it’s possible that GM is preparing the factory for C8 production. Now, as we approach fall and August is ready to kick off, GM is shutting down the Bowling Green plant. The shutdown is going to last through the month of October – something that is also causing a halt of all new Corvette orders until further notice. So, what is the shutdown really for? Well, that’s still a mystery as far as we’re concerned, but according to spokesperson Ron Kiino, the reason revolves around the building of a new paint shop that is said to be state of the art. That’s the most official information we’ve heard about the shutdown so far, but is it just a front as GM begins to shift toward building DOHC engines or the C8? It’s hard to say, but shutting down an entire factory, just to build a new paint shop seems a little sketchy to us. For what it’s worth, the shutdown doesn’t necessarily mean that you won’t be able to get a Corvette for the next three months. You won’t be able to order a 2018 model, but GM currently has 14,700 Corvettes in stock as of July 1, 2017. That’s the word from the Automotive News Data Center, and it does make sense considering such a long halt to production. So, what’s it all mean for those looking to buy a Vette in the next couple of months? Keep reading to learn more about it. Back in the day when muscle cars dominated the American auto consciousness, the name Steve Yenko was regarded as a wizard of performance modifications. As the man who ran Yenko Chevrolet of Canonsburg, Pennsylvania, Yenko oversaw an aftermarket division that gave birth to the Yenko Camaros, considered today as one of the most sought-after Camaros among enthusiasts of the pony car. Yenko Chevrolet’s run was brief, though, as the company stopped making customized Camaros in the early 80’s, and it wasn’t until 2009 when the name returned to the spotlight with the announcement that General Marketing Capital Incorporated (GMCI) announced its ownership of the Yenko trademark. Fast forward to today and the name “Yenko” has officially returned, albeit on a different model altogether. This, ladies and gentlemen, is the 2017 Yenko S/C Chevrolet Corvette Grand Sport, a heavily modified Corvette that comes with upgrades galore, none more impressive than a new engine output of 800 horsepower and 750 pound-feet of torque. The modifications themselves are about as extensive as it’s going to get and the company behind the build of these cars – Specialty Vehicle Engineering – says that the whole custom package for the Corvette took six months to develop. Ultimately, the final product is what you see here and it’s modified looks serve as a nice preview of what’s now lurking under that vented hood. Unfortunately, a difficult and time consuming build like this one means that SVE isn’t making a lot of them. Only 50 units of the Yenko S/C Chevrolet Corvette are going to be built and those who are interested to get one will have to shell out an extra $46,000 for the modifications alone. That cost is on top of the 2017 Chevrolet Corvette Grand Sport’s starting price of $66,445. Do the math and that adds up to $110,445 for an 800-horsepower Corvette Grand Sport that bears the name of the iconic Camaro tuner. Continue after the jump to read more about the 2017 Yenko S/C Chevrolet Corvette Grand Sport. The Christmas season is now in full swing and, as many of you can attest, the roads have been pretty jam-packed the past few days. It’s a tricky situation to navigate, and while we are celebrating Christmas today, it’s reasonable to expect that the roads are going to be just as bad over the next few days. Obviously, many of us are in different positions. Some have yet to complete their holiday shopping. Some probably have yet to start. There are also those who celebrated Christmas away from home and are planning to go back to their own addresses. Then there’s the always unpredictable mood of Mother Nature. 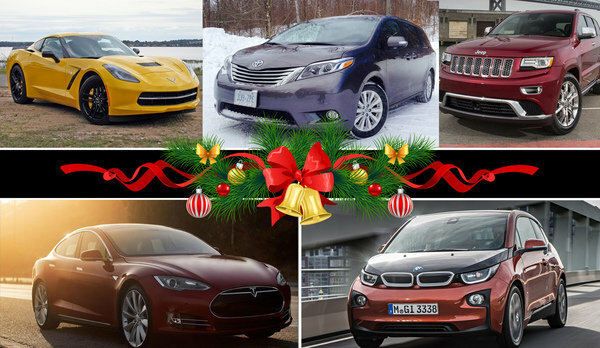 All these things could add up to a debilitating late holiday rush. So if any of you find yourselves in the aforementioned positions, be advised that we’ve picked out some cars that would work best in certain conditions. Not everyone will be fortunate enough to have the specific kind of car they’re going to need should, for example, they get stuck in bumper-to-bumper traffic. But in the event that they do find themselves with the right car, at the right place, and at the right time, they should be able to navigate cleanly around the expected rush of the coming days. These are the ideal cars you might need for certain situations. Good luck on your travels and happy holidays to all of you! 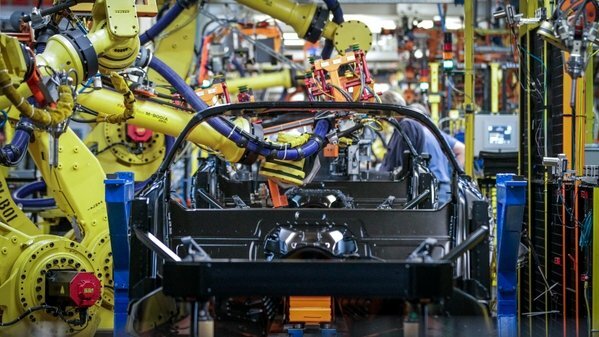 Typically, when an automaker invests capital into a production facility, it goes by unnoticed. However, amid rumors of a mid-engine Corvette, GM investing $439 million into the paint shop at the Bowling Green Corvette plant leaps off the paper to us as a sign of good things to come. The press release doesn’t have any incriminating evidence of this rumored super-Corvette, but it does mention that the investment will include new tooling and robots, and building a 450,000 square-foot painting facility. Other changes to the paint shop include a dry scrubber booth with a limestone-handling system that eliminates sludge water and waste, LED lights for the process decks for visual inspection, FANUC robots with versa-bell 3 electrostatic applicators to give each paintjob a smoother finish and to reduce lost paint materials by 25 percent, and high-efficiency baking ovens. Could these heavy modifications to the paint shop be in anticipation of the hotly anticipated Corvette Zora ZR-1? Unfortunately, it is hard to tell, as these modifications could simply be to improve flaws in the current paint shop or just to increase efficiency. Then again, an investment this big into the Corvette plant at this point in time just seems strangely coincidental. 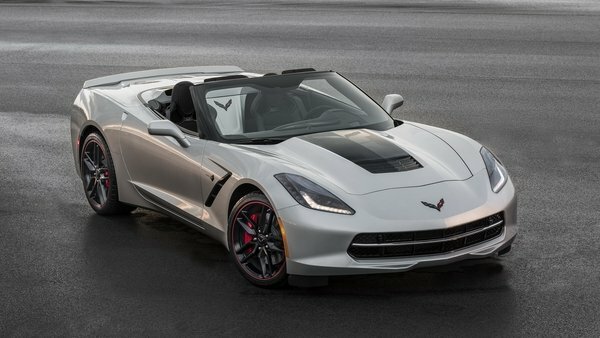 Chevrolet Invests $439 Million in the Corvette Plant originally appeared on topspeed.com on Wednesday, 27 May 2015 14:00 EST. Chevrolet isn’t letting the Corvette C7 get stale. For 2016, the Stingray gets a host of changes and upgrades that center around added colors, options and convenience features. These upgrades aren’t earth-shattering, but do give new Vette buyers something different over the last two model years. The 2016 Stingray returns will all the same body panels and interior design. The majority of the changes, however, are wrapped into three, all-new, color-themed design packages. Twilight Blue, Spice Red and Jet Black Suede offer custom-like appearances. Chevy has also integrated a new front curb-view camera for tight parking situations, and a power-cinching latch for the coupe’s rear lid. Besides the three main colored themes, The Corvette gets two new exterior color options. Corvette Racing Yellow Tintcoat and Long Beach Red Metallic replace Velocity Yellow and Crystal Red. The standard wheel package has been upgraded to a new design that comes in silver, black, machined or chrome. Also offered is a clear-gloss option over the carbon-fiber hood, leaving the intricate weave visible. Chevy’s faux carbon-fiber material, Carbon Flash, is available to replace the chrome bar on the front grille. Inside, The GT seats are now offered in two-tone, in either red or grey with leather or suede microfiber. More importantly to those who values performance, Chevy is now offering its Magnetic Ride Control on the base Stingray without having to upgrade to the Z51 Performance Package. Lastly, a flat-bottomed steering wheel is now standard across the board. 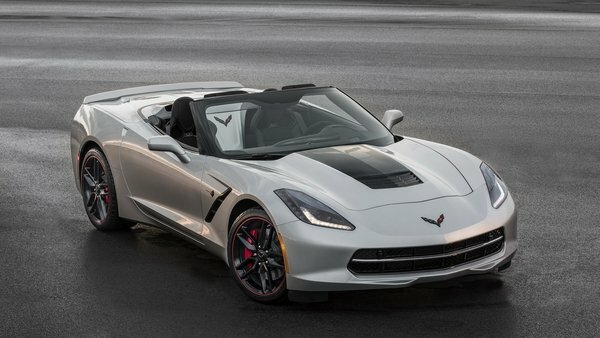 Continue reading to learn more about the 2016 Chevrolet Corvette. 2016 Chevrolet Corvette – Ordering Guide originally appeared on topspeed.com on Monday, 4 May 2015 15:22 EST. After collecting several industry awards in its first two years on the market, the seventh-generation Chevrolet Corvette receives an array of appearance and technology upgrades for the 2016 model year. The update also brings three new, color-themed design packages to further help buyers park a customized sports car in their driveways. Arguably the most important change for 2016 is the availability of Magnetic Ride Control on Stingray models without the Z51 package. The bundle is still compatible, but customers are no longer required to get the Z51 package in order to have GM’s fancy suspension. Two new exterior colors are also on the table for 2016. Corvette Racing Yellow Tintcoat replaces velocity Yellow, while Long Beach Red Metallic Tintcoat replaces Crystal Red Tintcoat. There’s also a new standard wheel design finished in either silver, black, machined or chrome. The Carbon Flash badge option now deletes the chrome bar on the front grille, while the Carbon Fiber Hood option features a visible weave section. Inside, the 2016 Corvette is getting a Z06-like, flat-bottom steering wheel and optional two-tone GT seats upholstered in leather or sueded microfiber. Corvettes ordered in 3LT trim and with Jet Black interior now get a red or yellow accent stitching option. More goodies can be had with the three design packages, available on Stingray 3LT coupe and convertible models, which are detailed below. 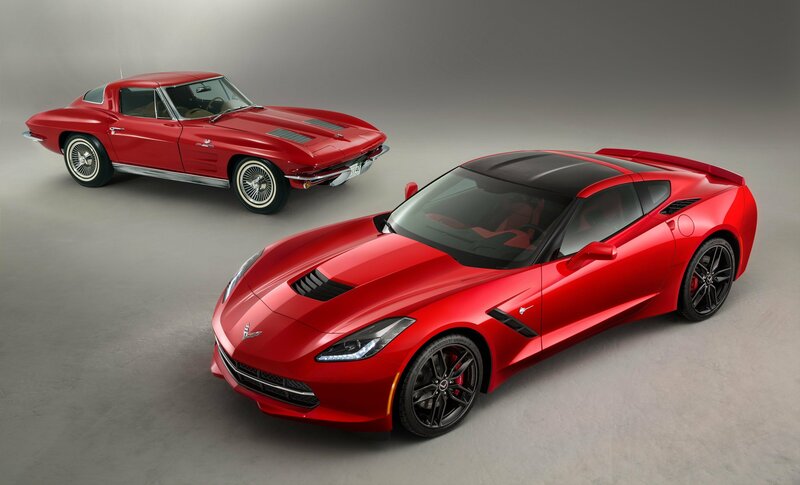 Continue reading to learn more about what 2016 brings new on the Corvette Stingray lineup. 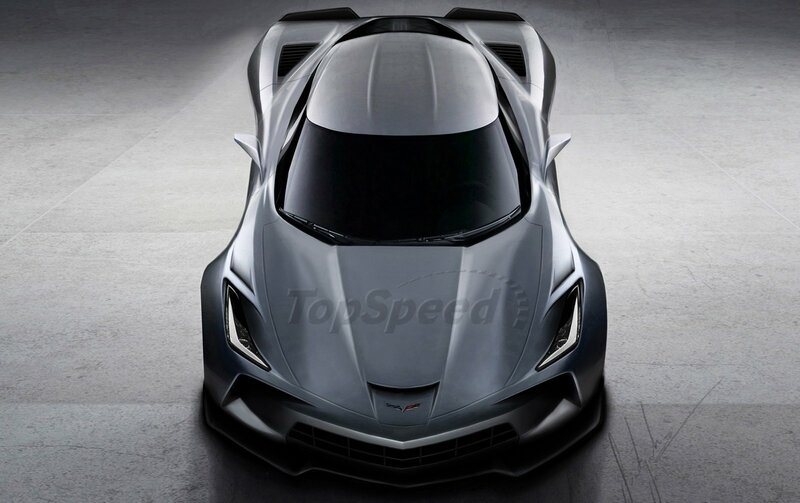 2016 Chevrolet Corvette Gets Updates, New Design Packages originally appeared on topspeed.com on Monday, 27 April 2015 19:00 EST. You’ll find some seriously heavy-grade speed-weaponry at the annual Texas International Automotive Airfield Exhibition. Some of the biggest names in performance tuning show up to compete and showcase their latest builds, including AMS Performance, Nitrous Express, and T1 Race Development. Participation is by invitation only, which makes for a field of some of the fastest machinery in the country. Every manner of suped-up speed monster makes an appearance on the long runway, from high-end European exotics like Porsches and Lamborghinis, to powerhouse imports like the GT-R and Supra, to the no-displacement-replacement domestic iron of Vipers and Ford GTs. Four-digit power figures and 200 mph are commonplace. At the top of the EV class, we find this extensively modified C7 Corvette driven by one of the most badass four-year-olds to put pedal to metal (er, plastic that is). Dear ol’ Dad helped with the upgrades, which include doubled power over stock trim, with 24 volts of tire-shredding electric muscle. Complementing this are two big bottles of nitrous mounted in the rear. This thing scrambles for traction everywhere. The pilot can barely contain it off the line, but somehow manages to get it to the finish without incident, a testament to his innate driving talent. He even throws in an end-swapping skid at the end of his run for extra style points. If you need a smile, don’t hesitate to hit play. Click past the jump to read about the C7 Stingray Corvette. Video: 4-Year Old Drives The Coolest C7 Stingray Corvette originally appeared on topspeed.com on Tuesday, 10 February 2015 15:00 EST. When it comes to official Nurburgring lap times, Chevrolet is the proud owner of the tenth-quickest lap for production cars, an achievement it unlocked back in 2011 with the Corvette C6 ZR1, which stormed the Nordschleife in 7 minutes and 19.63 seconds. That benchmark will certainly change once the 2015 Corvette Z06’s lap becomes official, but, if we are to believe a recent report coming from HorsepowerKings, GM’s new halo car improved upon the ZR1’s time by no less than 20 seconds. Specifically, the report claims a 2015 Corvette Z06 equipped with the Z07 aerodynamics package and the quick-shifting, 8L90 eight-speed automatic transmission, lapped the “Green Hell” in 6 minutes, 59.13 seconds. The HD on-board video will be released “soon,” HorsepowerKings adds. On the flip side, the report doesn’t quote a source, and the video that comes with it is actually older footage of the Z06 being tested on the Nordschleife. What’s more, the 2-minute video seems very similar to the one YouTube user “cvdzijden” uploaded back in October 2014. Not that I’m accusing HorsepowerKings of anything, but refurbishing an older video doesn’t help with credibility. The lap time itself is also possibly far-fetched, as such a benchmark would make the Corvette Z06 only two seconds slower than the Porsche 918 Spyder supercar. And while I agree the Z06 is worthy of the term “supercar” in some respects, I have my doubts it is nearly as quick as an 887-pony, 940-pound-feet hypercar equipped with one of the quickest transmissions ever built. Make sure you keep it locked here for more details on the matter, but until we can dig up new info, take this outstanding lap time with a pinch… make that a jar of salt. Click past the jump to read more about the 2015 Chevrolet Corvette Z06. 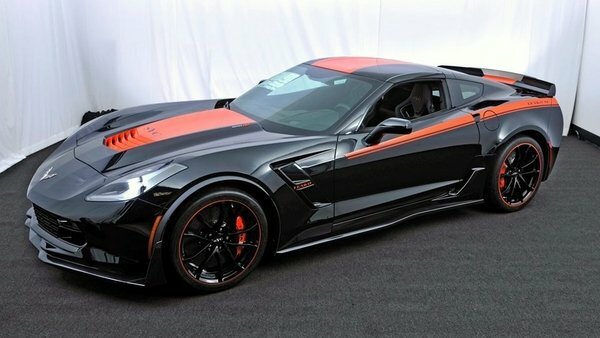 2015 Corvette Z06 Reportedly Lapped the Nurburgring in Under 7 Minutes originally appeared on topspeed.com on Wednesday, 28 January 2015 13:00 EST. What happens when 650-horsepower wrapped in a carbon fiber and aluminum meets an immovable object? You get destruction and sadness for starters. It seems that what we have here are the exclusive first images of a wrecked Corvette Z06. The car was spotted by an eagle-eyed reader as it was making its way down the interstate just outside of Chicago on a flatbed. The car is in the signature bright-yellow paint, Z06 badges and all, and it appears to have been smashed quite heavily into a barrier of some sort. The front end is completely missing and the front of the fenders look pretty roughed up as well. The car itself is wearing press tags from Michigan, the tow truck is also wearing Michigan tags, so it is possible that this was an incident involving a journalist. The fact that the Z06 isn’t available to the public until early 2015 also leads us to believe this accident happened with a member of the media behind the wheel. Whatever happened, we just hope that everyone involved is doing well. Crashing a sports car that is capable of well over 200 mph can have some disastrous ends. For now, just hit the jump to check out the photos, and our reader was even able to snap some video footage. We are ready and willing to hear your theories about what happened in the comments below. 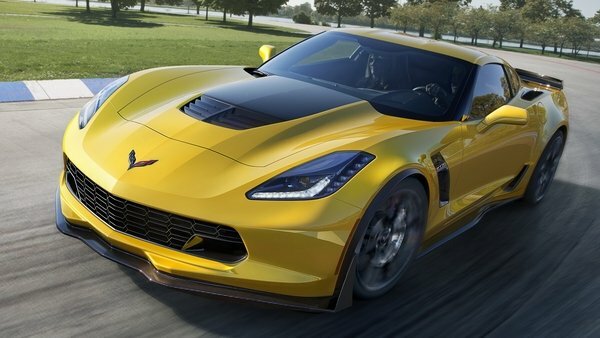 Are you upset that there is one less Corvette Z06 in the world right now? Big thanks to our reader, Mitch. Click past the jump to read more about Chevrolet Corvette Z06. 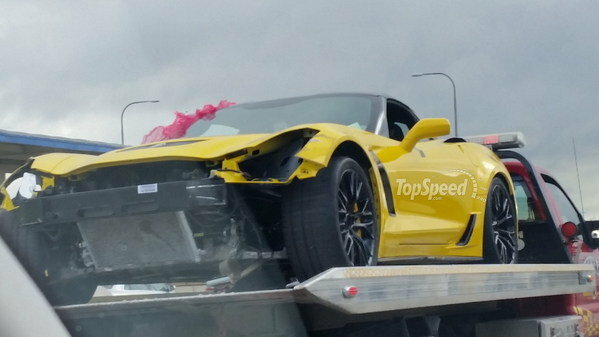 TopSpeed Exclusive: Wrecked 2015 Chevrolet Corvette Z06 Caught on a Flatbed originally appeared on topspeed.com on Wednesday, 22 October 2014 15:00 EST.